My friend, and sometimes Game Master, Johannes, described some of the books that inspire him as a GM on his blog Sort Forsyning top 13 books (it’s in Danish). That in turn inspired me to share some of the books that I find are great inspiration for role-playing games. I think it will be a (current) top ten. I hope you get inspired too! These 10 books have so many cool ideas that it is mind boggling. It shows in the stories that the author has a background in anthropology and archaeology, as cultures and lands have layers upon layers of history, with different technology levels and magic. The world building was very interesting to me. It is very far from the traditional Gary Gygax medieval knights world. I love them, but the books aren’t equally great, and were hard to read as they came out, as the amount of people and plot lines you have to keep track of is staggering. That said, I’ve lifted a number of ideas from these books straight into my current D&D campaign. I also wanted to replicate the magic system, where each “school of magic” (sort of) is drawn from a particular plane. But it was too much work for D&D spells and planes are so heavily integrated into the rules. It is also dark, gritty and funny. 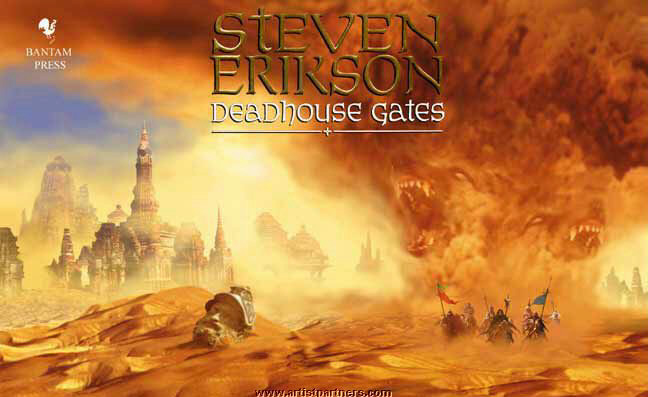 The second book, Dead House Gates, and its story of the Chain of Dogs, remains the most riveting and gut wrenching fantasy story I’ve read. Duiker was well past astonishment at anything he saw. Like the Tithansi tribesmen he’d occasionally exchanged words with, he’d begun to believe that Coltaine was something other than human, that he had carved his soldiers into unyielding avatars of the impossible. Yet for all that, there was no hope of victory. 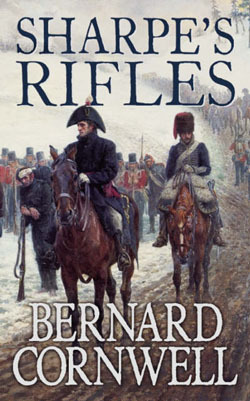 Bernard Cornwell has written 21 novels with the hard as nails British soldier Sharpe, who has his career during the Napoleonic Wars – mainly in the Peninsular Wars under Wellington. They are great adventures, full of good plot ideas, and they were the main inspiration for my Warhammer campaign. Cornwell’s insight, that to make the story interesting, he had to make enemies and obstacles on Sharpe’s own side just as big a feature as the enemy, is something I used. I also drew a lot of inspiration for the military campaign side of things, with the size of the army train, the unwieldiness of the artillery and the chaos and confusion of battle that Cornwell describes so well. Being part of a military organization is obviously also a powerful motivator for going on ‘missions’. Cornwell writes great action, and there are a lot of skirmish battles with company sized units, that I also drew upon for my campaign. “Powder smoke spurted from the orchard, showing that Dragoons [no, not dragons!] barred that escape, yet it was his only hope. He shouted up the ladder. ‘Come down!’ He turned to Harper. ‘We’ll take the Spaniards with us. We are breaking southwards. It needs no introduction. For years it was one of the few fantasy novels available to me, because we had it at home in Danish. When I became better at English as a teenager, they whole fantasy field opened up, and I’m still trying to read through all the Fantasy Masterworks. But Tolkien will always be there, with the magic, orcs and journeys, and I still love ancient dwarf keeps full of secrets, treasure and ancient evil (and so does many of my players!). Don’t think I’ve ever made a fantasy campaign without a lost dwarf keep. 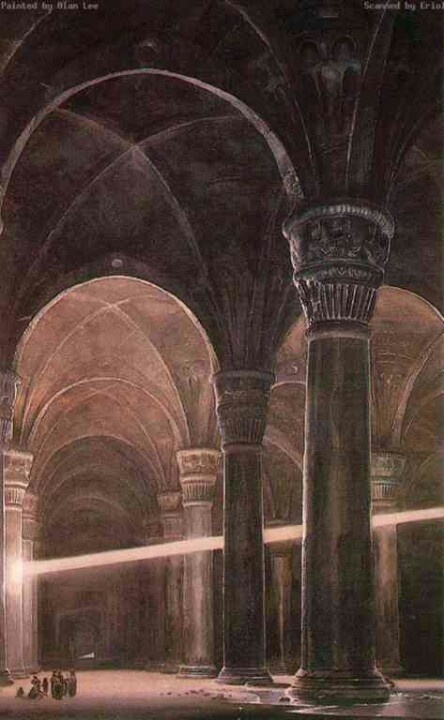 “The orcs have often plundered Moria; there is nothing left in the upper halls. And since the dwarves fled, no one dares seek the shafts and treasuries down in the deep places: they are drowned in water – or in a shadow of fear. This book is fantastic. It really inspires my world-building in many ways. Fundamentally, it provides insight into how that empire was ruled, from a variety of perspectives, including logistically and politically, and how half of it ultimately collapsed. 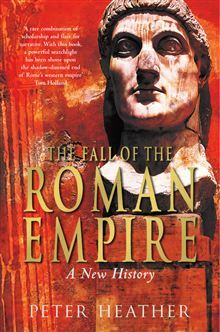 Some of the key points I have taken from it are: rampant corruption, civil war every 20 years, high level of autonomy because of the limits of the administrative system, and the size of armies that could disrupt it -around 10,000 displaced tribal warriors settled in the Balkans created a domino effect that contributed heavily to the fall of the Empire. Then there are some practical details around travelling, where I think in most fantasy games the logistics and time involved is underestimated. Theophanes had to travel from Egypt to Antioch (in Turkey). The trip was on great roman public roads, which made it very quick – he travelled 40 kilometres (around 25 miles) per day. With him, he brought a group of slaves, and soldiers for parts of the trip. This meant that the journey lasted almost a month. For his slaves he bought 160 litres of wine for the return journey, and bought two bottles for the same price for himself (obviously a better vintage). As he hardly knew anyone along the way, he also had to bring dozens of valuable gifts for other important Romans that he met. This is the story of the legendary Meriwether Lewis who, together with William Clark, Sacagaewea and their party, was the first to cross America over land from the Atlantic to the Pacific. It is an adventure of the highest order, and really gave me a lot of inspiration for e xploration of the untamed wilderness, and you see how resourceful humans can be. It is a direct inspiration for my current D&D campaign, where the characters help settle a new an unknown land. In the next part I will be touching upon The Song of Ice and Fire, a book about Africa and a video game, among others.